​Manchester City will compete with rivals Manchester United in the race to sign Crystal Palace star Aaron Wan-Bissaka in the summer. The Eagles' defender has emerged as one of the top performing right backs in the Premier League this season, and at 21 he is seen as one of the most promising young stars in his position. According to the ​Daily Mail, ​City were particularly impressed with Wan-Bissaka's performance against them during ​Palace's 3-2 victory over Pep Guardiola's side in December, and could be keen to make a move as they consider their options ahead of a potential transfer ban. The Premier League champions are currently under investigation over past signings of young players from overseas, and the Citizens could therefore look to do business before any potential sanction kicks in. 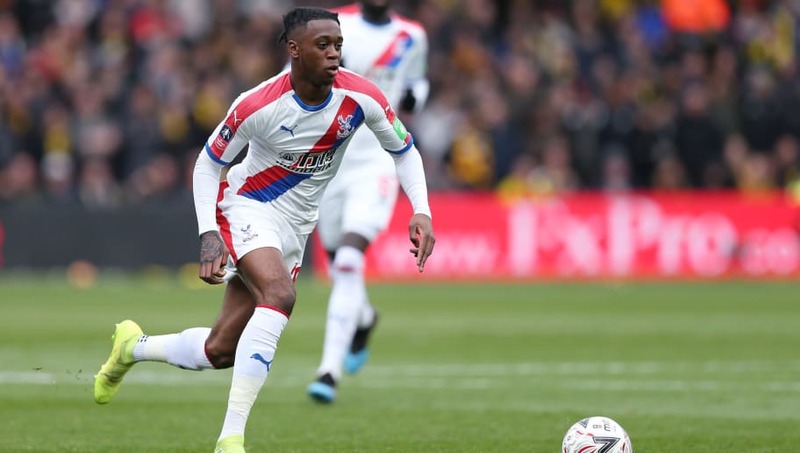 Meanwhile, cross-city rivals ​Manchester United have been consistently linked with a move of their own for Wan-Bissaka in recent times. Ole Gunnar Solskjaer has apparently been offered Thomas Meunier as an alternative option, but the United boss is in the market for young players, and Wan-Bissaka therefore fits the bill more than the 27-year-old PSG defender. With both ​Antonio Valencia and Matteo Darmian set to leave the club at the end of the season, right back is likely to become a priority area for strengthening at Old Trafford, meaning that Wan-Bissaka may emerge as a top target. The futures of midfield duo ​Ander Herrera and ​Juan Mata also remain uncertain, and United's continued tracking of Benfica's rising star Joao Felix suggests that Solskjaer could also look to replace veteran stars with young talent in other areas. United scouts were in attendance to watch Felix as he stole the show with a stunning hat-trick in Benfica's 4-2 victory over Eintracht Frankfurt in the Europa League on Thursday. However, the Red Devils were not the only club represented at the game, as scouts from ​Chelsea, ​Tottenham and ​Arsenal among others were also in amongst the 20 clubs that were represented in the crowd.